This is a 2oz bottle of Tri Flow Superior Lubricant. 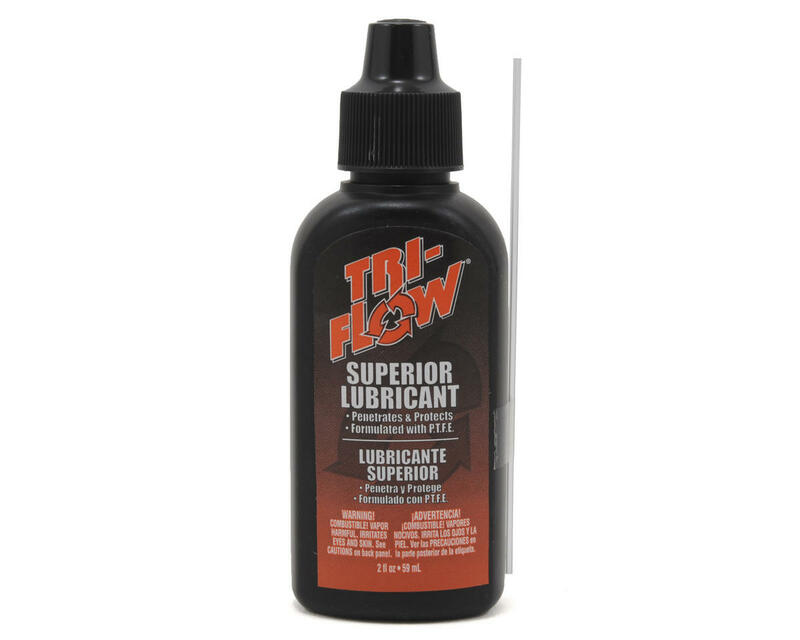 Tri-Flow® Superior Lubricant is the superior, light viscosity lube that allows for deep penetration into hard to reach moving parts. The drip bottle application, with a convenient straw, allows for deep penetration in hard to reach moving parts. High-grade petroleum oils provide optimum lubrication under extreme temperatures (-60 to 475°F) and humidity. Formulated solvents soften and remove dirt and contaminants, while special additives displace moisture and prevent rust and corrosion. Formulated with P.T.F.E.